Today is the start of the college football season. My alma mater, Arizona State University, plays tonight so I’m more than a little excited. Usually you associate beer with football but today we’re talking wine -- and here’s why. Arizona State is my college football team. Dennis Erickson is the ASU head coach. Dennis Erickson has a summer home in Coeur d’Alene, Idaho. 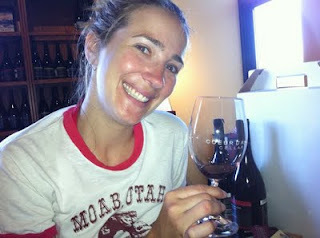 My favorite winery is in Coeur d’Alene and I visited it this summer. See -- OBVIOUSLY that means we should talk wine. 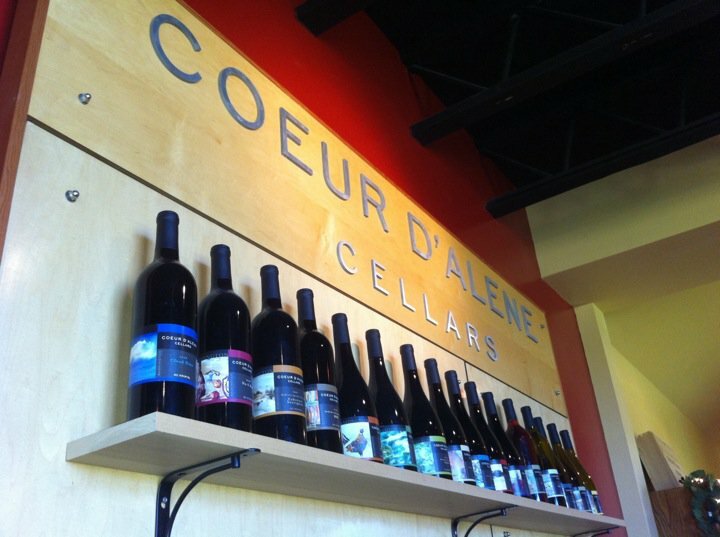 You would never expect to find a winery on the unassuming street where Coeur d’Alene Cellars sits. You pass the Coeur d’Alene Police Station and a beer distribution warehouse on your way around the half-moon street -- all of a sudden you see it. Quaint and rustic but with modern charm the winery pops out at you with a burst of red and multicolored brick features. When you open the heavy wooden door to head into the tasting room you are greeted my low lights, pops of color, shelves of wine and a huge wooden table perfect for your closest friends and family to chat around as you go through a tasting. I was introduced to Coeur d’Alene Cellars by my boyfriend, Craig Newcomb. Craig is a news photographer and shot a story about the winery when they first opened back in 2002. He started stopping in with one of his reporters whenever he could. He moved to Seattle four years ago but is still a wine club member at CDA Cellars. There are a few different wine club options out there. The one that Craig likes is the Sipper Club -- it offers one white and two reds each quarter. There’s also the Classic No. 6 Wine Club or the Artist Circle to choose from. If you don’t live in the Northern Idaho/Eastern Washington area you can get your wines shipped right to your door. Once you become a club member your price to stay a part of it will never go up -- that membership also gets you a discount on retail orders, free tastings and exclusive invitations to pick-up events and release parties. My second favorite thing about Coeur d’Alene Cellars is the casual atmosphere in their tasting room. If you don’t want to sit around that big table you can pull a stool up at the bar and chat with the employees, wander around the tasting room and check out the specials or even meander outside to a beautiful garden area (they do host weddings and other special events if you’re interested). You also feel comfortable wearing a t-shirt inside in case you're stopping by after a walk around the Lake Coeur d'Alene Resort Boardwalk (as I prove here :). My first favorite thing is the wine. I have a couple favorites but all of their varieties are smooth and no matter if you’re a big red or a sweet white fan I can honestly say I think you’ll enjoy the entire tasting. So, Coach Erickson -- I hope you have a great season and you and the SunDevils do as well as some have predicted. Next time you’re in the great state of Idaho -- stop by my favorite winery to check it out. *wine photos courtesy of my fellow SunDevil Alum and wine tasting buddy Troy Narvaez. The football one is courtesy of Google Images and Fox Sports Net Arizona. I think it's time for a good, old-fashioned beer/wine rivalry. Check out my Session Beers for Football Parties. I might be tempted to try a bottle...wine before beer? Or beer before wine?